Unfulfilled in this painting- The Sower, Van Gogh spent most of his time translating biblical passages into English, French and German, and his free time in the depths of the countryside where he felt at peace. 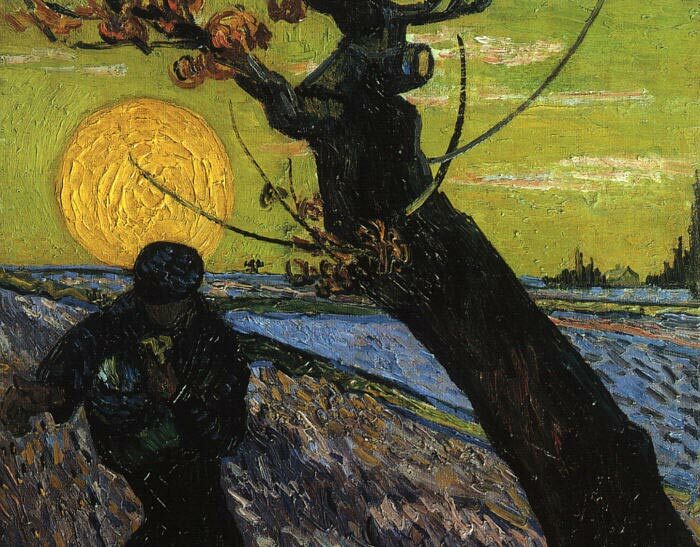 His plan was to study theology and Van Gogh confided in his brother: "I suppose that for a `sower of God`s words`, as I hope to be, as well as for a sower of the seed in the fields, each day will bring enough of its own evil, and the earth will produce many thorns and thistles". The image of the sower was to become a recurring theme in his work. SPECIAL NOTE : The painter will make the reproduction as close to the original oil painting as possible. If you want your painting to alter from this likeness, please email us and " The Sower, 1888 " will be reproduced according to your special requirements.